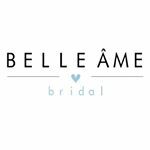 Take a peek at our #beautiful new #boutique and the #gorgeous#gowns we have carefully #curated to bring to the #Houston market #exclusively to Belle Âme Bridal. Grab some lite bites, #sweets and #bubbly, as well as some special #VIP discounts. Space is limited so please RSVP by 1/11 using the link in bio. We can’t wait to celebrate with you!